Shares of Zynga and Plug Power are notching notable rallies, as IBM leads the Dow Jones higher. The Dow Jones Industrial Average (DJINDICES:^DJI) had added more than 57 points as of 11:30 a.m. EDT. IBM (NYSE:IBM) was one of the index's most notable performers, rising 2.3%, while shares of other tech companies posted even more impressive rallies. Zynga (NASDAQ:ZNGA) added more than 4%, while Plug Power's (NASDAQ:PLUG)volatile stock was up more than 7.7% in early trading. The Dow Jones opened higher on Tuesday, but slowly sold off as the morning session progressed. One factor that may have weighed on the index's gain was disappointing home sales data. The Census Bureau said just 440,000 new homes were sold last month, less than the 445,000 that economists anticipated. While investors shouldn't put too much emphasis on the figure, weak home sales data suggests that the U.S. economy may not be performing as well as expected. IBM rose more than than the Dow in early trading. Big Blue's gain may have been fueled by the announcement of a deal with Pitney Bowes. The companies plan to work together on a hybrid cloud location services product, in which IBM's cloud products will be paired with Pitney Bowes' location services. The pairing could prove attractive to IBM's customers. There wasn't much news to explain Zynga's rise, which may simply have been a bounce back after Monday's disappointing session. Shares of many tech stocks, including Zynga, experienced notable moves to the downside on Monday. 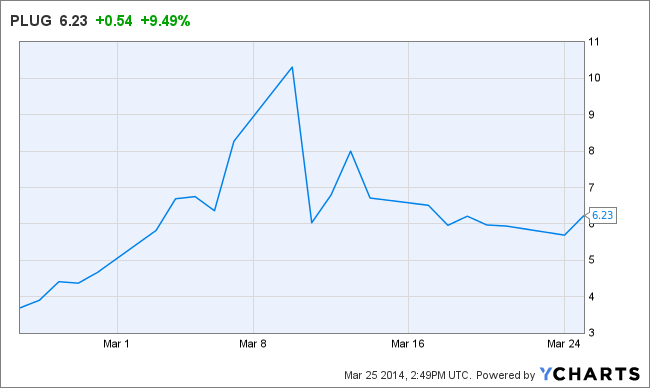 With Tuesday's rally, the online game company;s shares are back near Friday's closing price. Like Zynga, there wasn't much news to explain Plug Power's move to the upside, which may have simply been a continuation of the stock's recent volatility. Investors appear to be betting on a bright future of the company's fuel cell technology. But at this point, Plug Power remains a highly speculative investment, and the entire space has been prone to wild swings in recent sessions.